Melbourne Removalists | Call Hire A Mover and Save! Moving home or office? Need trusted removalists in Melbourne to help with your move? Then Hire A Mover is what you’re looking for! 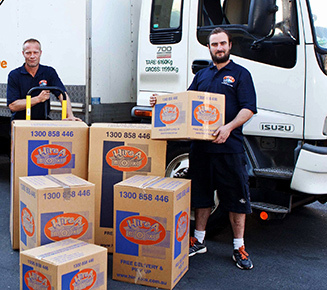 A partner of Hire A Box, Hire A Mover offers customers cheap and efficient removal service. 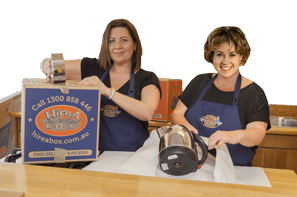 Use Hire A Mover as your trusted Melbourne removalists and receive a 10% rebate on Melbourne packing boxes and ancillary items from Hire A Box! Why use Hire A Mover service? We understand how important it is to be quick and reliable at the same time and Hire A Mover does just that. Hire A Mover is dedicated to serving clients with the best moving experience. With a cost-effective service hourly rates from $120 and qualified and experienced removalists, you can be sure Hire A Mover is the trusted way to move! Why waste time looking for cheap moving boxes? Choose Hire A Mover as your trusted Melbourne removal service company and receive 10% rebate on Melbourne moving boxes and ancillary items from Hire A Box! With Hire A Box, you can choose to hire or buy moving boxes in Melbourne at competitive rates! Hire packing boxes in Melbourne and they are yours to keep for up to 3 months. You are also entitled to a free pick up of the boxes once you are ready for them to be collected. The Melbourne packing boxes are delivered as quick as same day, next morning and even on weekends. Speed, efficiency and safety are important considerations when moving into a new home or office. Not only do the removalists in Melbourne ensure a quick and efficient move, but they also ensure that your goods are transported safely. The most reliable removalists are those responsible enough to be at your doorstep punctually, ready to offer the best services, more than you have desired, and Hire A Mover does just that! So call Hire A Mover on 1300 358 700, Monday to Friday, 8.30am to 5pm EST, to discuss on any enquiries you have or to simply get a quote.